Notice to selfish, upper-middle-class boomers: It’s time to pay more for Medicare. No later than the first year of the next presidential term, we’ll have to find a way of coming together around a plan to restore long-term fiscal sustainability. There are three principal impediments to agreement: the president’s health reform law; Medicare and Medicaid; and taxes. I don’t mean to suggest that other issues—such as defense and Social Security—are trivial, but only that the gaps on these issues seem easier to bridge. Of the three most difficult issues, one—the health reform law—will have to wait until 2013, because it will be a focal point of the 2012 presidential campaign. Obama will defend it staunchly, while the Republican nominee will demand its repeal. (If Mitt Romney is his party’s candidate, it will be interesting to see how he frames the argument.) If Obama wins, the law will go into effect and become part of the fiscal baseline; if he loses, it probably won’t. As I filled out my form, I began thinking about my situation. My wife and I are both professionals. While neither of us is paid lavishly, our combined income is enough to place us in the upper-middle class. 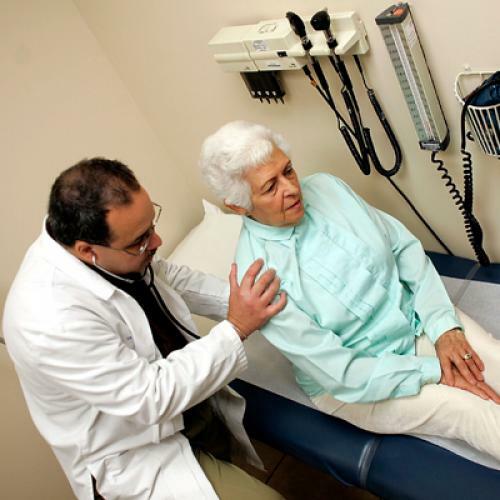 For us, Medicare’s major advantage is guaranteed issue regardless of preexisting conditions. (And you don’t reach my age without accruing some.) If we had to pay the full actuarial cost of our insurance, we could. Yes, we’d probably have to make some adjustments elsewhere in our budget. But we’d still be more comfortable than most working Americans, even after we retire. There’s an obvious rejoinder: Haven’t my wife and I already paid into the system for the benefits we’ll receive over the next two or three decades? Answer: Yes, but not enough. A few months ago, Eugene Steuerle and Stephanie Renanne of the Urban Institute put out a very useful summary, “Social Security and Medicare Taxes and Benefits Over a Lifetime,” calculated for different retirement cohorts. While I’m no methodologist, their assumptions seem straightforward and plausible. Applying them to our own case suggests that the value of my contributions falls short of the actuarial value of our benefits by at least $100,000. And if my wife and I were younger professionals scheduled to retire in 2030, the gap would be far greater. So who’s going to make up the difference? Answer: today’s workers, many of whom are already struggling to raise their children, pay the mortgage, and save for college. Worse, workers as a share of the total population are declining. A recent analysis of BLS data showed that share declining in 2010 to only 45.3 percent, the lowest since 1983. Yes, part of that decline represents the effects of the Great Recession. But longer-term trends are also evident: our population is aging, the share of women working outside the home has plateaued, and men have been dropping out of the labor force for more than a quarter of a century. A generation ago, more than 80 percent of working-age men were employed. Today, that figure stands at 66.8 percent. One of the large demographic developments of the past generation is the emergence of a mass upper-middle class, a new meritocracy of credentialed professionals whose family incomes reflect the compounding effects of assortive mating. While we are not rich, our lives differ quantitatively and qualitatively from those of today’s hard-pressed middle class. Our lives are rich with choices; theirs are driven mostly by necessity. It’s just not right for us to make their lives even harder. Nor is it sustainable. Over the next decade, our country can’t afford the tax cuts the Republicans insist on giving us. Nor can it afford to subsidize our retirement—certainly not to the extent of current law. My fellow boomer-professionals, fiscal responsibility begins at home. Didn’t the young president who inspired so many of us fifty years ago have something to say about this? Are we still capable of responding?